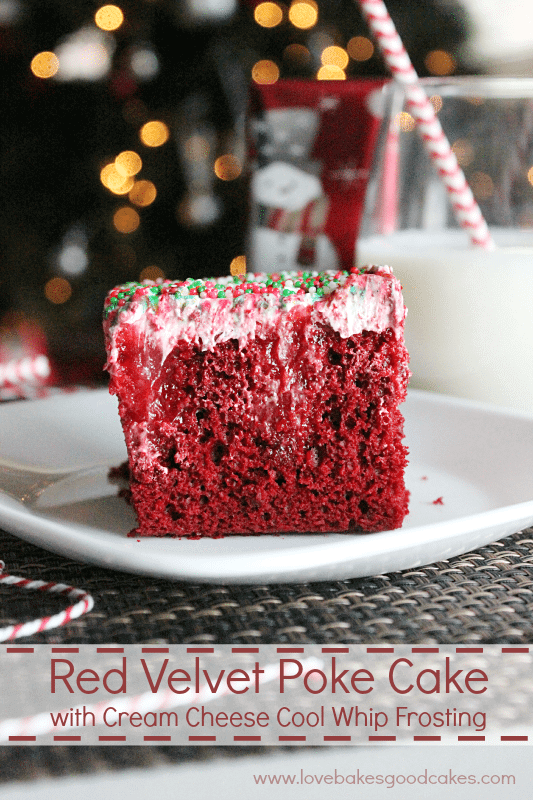 This Red Velvet Poke Cake with Cream Cheese Cool Whip Frosting is a festive and easy dessert – perfect for Christmas, Valentines or the 4th of July! Are you a fan of Red Velvet? 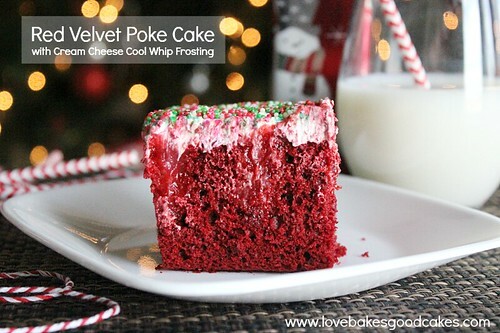 I am a big fan of Red Velvet desserts – especially cake! I love the deep red color! 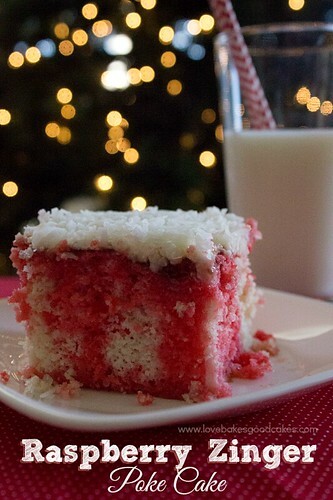 Is there another cake that says Christmas quite like Red Velvet?! I think not! 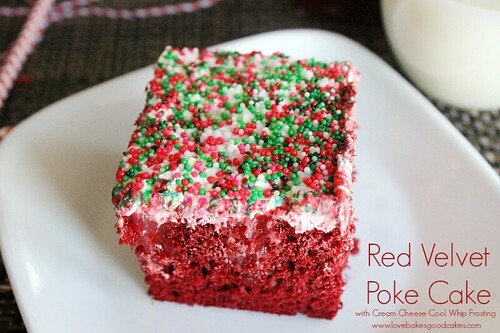 This is one of many poke cakes in my poke cake obsession. With Christmas just days away, I wanted to share and easy, but festive idea. Since this easily feeds a lot, it’s perfect for gatherings with friends and family! 1. Bake cake according to mix instructions using a 9×13-inch baking dish. 2. After the cake has baked, remove from the oven. Using the handle end of a wooden spoon, poke holes all over the cake. There is no set number of holes, but you want plenty of places to fill. Mix the white chocolate pudding with 2 cups of milk until dissolved and creamy. 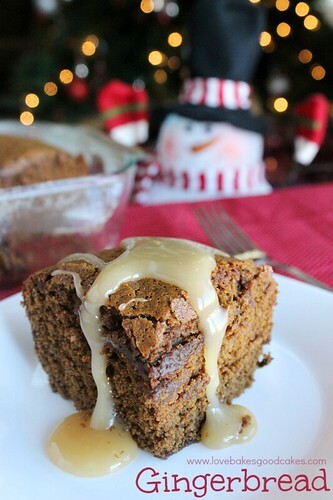 Pour the pudding evenly over the cake, trying to fill the holes as much as you can. You may need to use the back of a spoon to help push the pudding into the holes. 3. In a large bowl, mix the cream cheese, Cool Whip, powdered sugar and vanilla until well combined and the mixture is light and fluffy. Spread over the top of the cake. Sprinkle the non-pareils over the top. Refrigerate for at least 4 hours before serving. 4. Store leftovers in the refrigerator. Yum. Red velvet is my favorite cake. I've never had it as a poke cake. Leave it to Jamie!